This is the fourth article in my series about ways kids can create picture puzzles. The first was Creating Picture Puzzles - Spot the Difference, the second was Creating Picture Puzzles - a Digital Image to Copy and the third was Creating Picture Puzzles - Seek and Find. 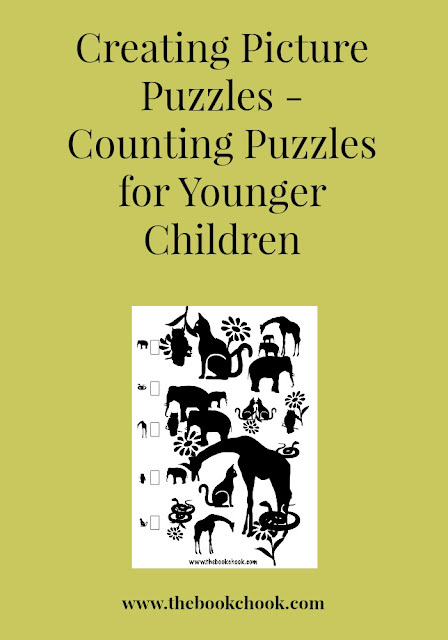 Asking children to create a puzzle for younger kids is a great idea. For a start, it gives them a definite audience for the puzzle. Inventing a puzzle for younger children also lets them focus on the skills they must use rather than the complexity of the puzzle. 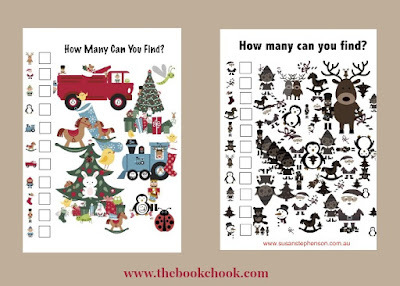 A counting puzzle might be too easy for their peers to solve, but younger kids are a fitting target, and it is easily made using readily available clip art. Children could also explore taking photographs to make counting puzzles. Here’s one way that might work for kids. It’s not necessarily the best way, but it’s what I did when I created the two counting puzzles just above. To start, I look around for clipart that is free to use, and that I like. I found cute Christmassy clipart at PicMonkey, an online image editor. Adults could guide children to explore other tools and websites, or there may be clipart inside a program children are familiar with. Pixabay and OpenClipart have free vector graphics. Next I decide on a word processing program to use. For me this means Pages, Google Docs or Google Drawings. 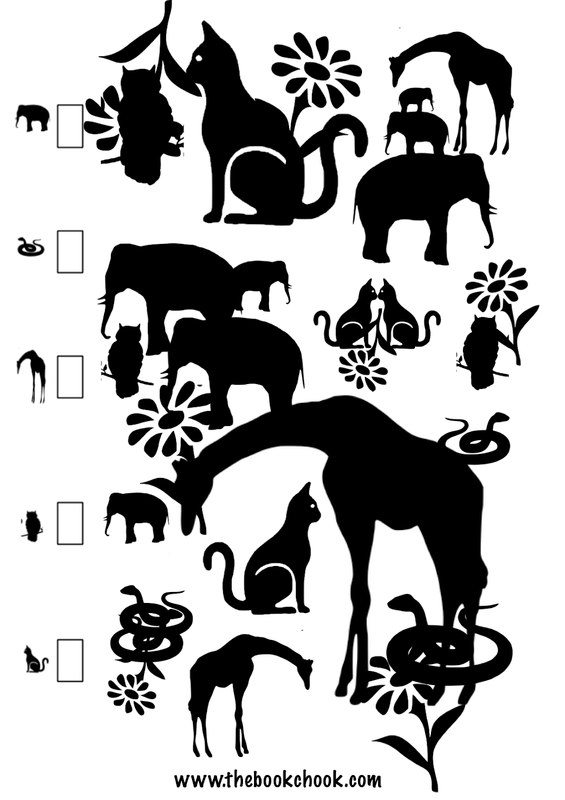 I figure out what size image I will need for the document, because that is my next step, to make an image containing multiple pieces of clipart that children can count. I open a canvas of the size I want in an image editing program, e.g. PicMonkey, and start to add clipart. 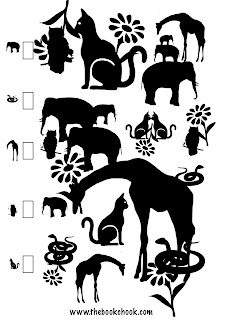 I place my clipart carefully, trying to make some pieces small, some large, some partially obscured by others. I use the flip function to change the direction of a piece of clipart, and use rotate to turn clipart slightly so it will be a little harder to recognise. Kids will understand we want a puzzle to be a little tricky, but not impossible. I used online image editor PicMonkey to make the two simple counting PDFs above, and they are available to download from my website. Once they are PDFs, they can then be converted to an image file, if kids prefer that format. For my next sample, (see the two images below) I used Pages, Google Drawings and Pixabay’s free clipart. Here’s a description of my process, in case it helps. Firstly I checked out Pixabay’s vector images and searched for “animals”. 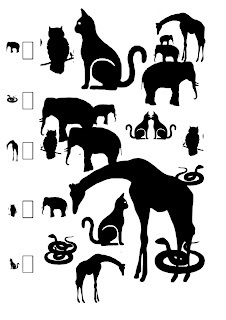 I decided to go for black and white and found plenty of animals to use. I needed transparent images to have the freedom I wanted in arranging them. I opened a document in Pages, chose my page orientation as portrait, 21 x 30cm. I inserted each image, duplicated them, flipped them and changed size. I opened a canvas for designing an image in Google Drawings and designed a 3cm x 27 cm image of squares and tiny animal images so kids would have somewhere to write their numbers. I inserted this image into my document too, and exported it as a PDF. After checking out the result (above), I then added a flower image to my original Pages document, just to make the puzzle a little more visually complicated, and again exported it as a PDF. 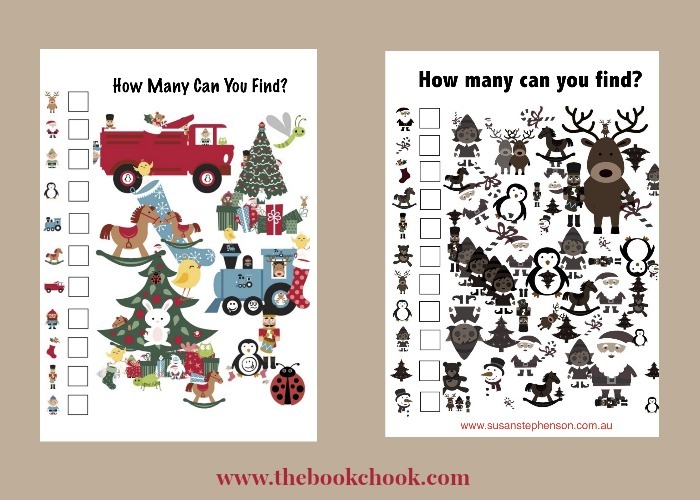 I have added this very simple visual puzzle to my website where you can download it for free if you are a teacher, librarian or parent who works with kids. 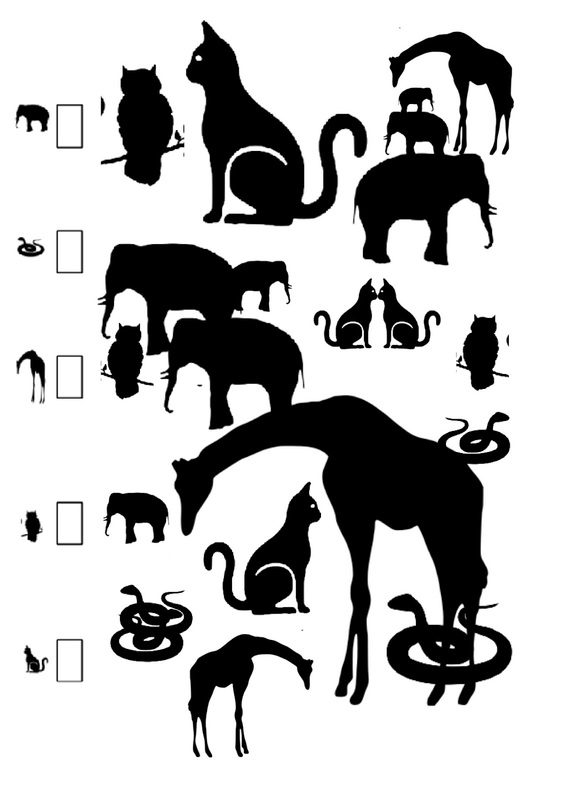 Of course, students could also use the same basic technique to create a document asking younger students to identify beginning sounds, identify animals, and many other activities. Participating in the creation of activities for younger kids allows students to not only develop their IT skills, but also to make something practical and think of others. Or it could be something early finishers can have as an individual project. Coming soon: Creating Picture Puzzles - How Can Kids Create a Rebus Story.